JT Fossey Trucks takes pride in producing high quality replacement parts. All Genuine Truck Parts are engineered and tested to ensure that they not only meet Australian Design Standards but also in many cases exceed them. JT Fossey Trucks only uses genuine parts. There are many non-genuine options available, but why would you trust an unproven part in your vehicle when a genuine part is tested and proven to keep your vehicle reliable and performing at its best. These parts have been designed, tested and manufactured according to their manufacturer's uncompromising premium standard to ensure the superior quality and durability of every part. Every Genuine Part comes with a 12-month warranty. With each part and component, you can have complete confidence in its fit, quality, durability and function. 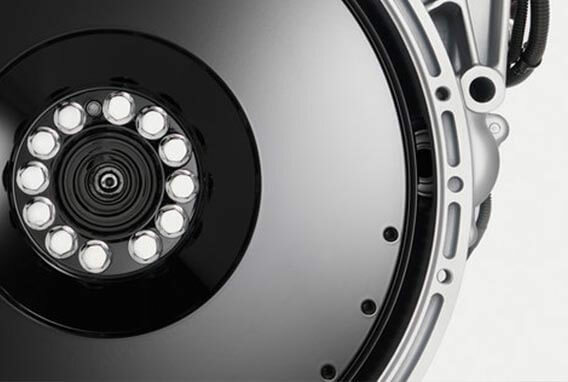 Genuine Parts, in combination with regular vehicle maintenance, will help protect your Mack, UD, Volvo & Fuso, providing enhanced safety and performance. 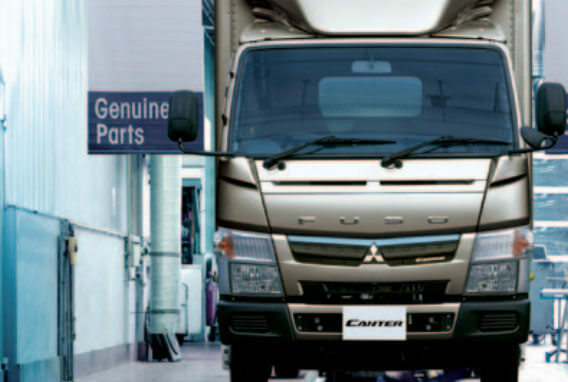 All Genuine Parts can be ordered and purchased at any Mack, UD, Volvo & Fuso dealership. For more information, including price details, please contact JT Fossey Trucks. Our parts department deals in most types of truck parts and is able to assist you in obtaining the correct part that you need for your truck. Did you know that spare parts only account for 6%* of your operational costs? Yet trying to save money in this area by choosing no-name brands can cost you a fortune. A faulty part can increase your fuel consumption, jeopardise safety or cause a major breakdown. This not only disrupts your deliveries, the repair costs can be significant and what you may lose in damaged company reputation cannot even be counted in dollars. So, choosing reliable parts that are developed to operate with your specific truck model and specification is not only a clever choice, it's an investment in your business. 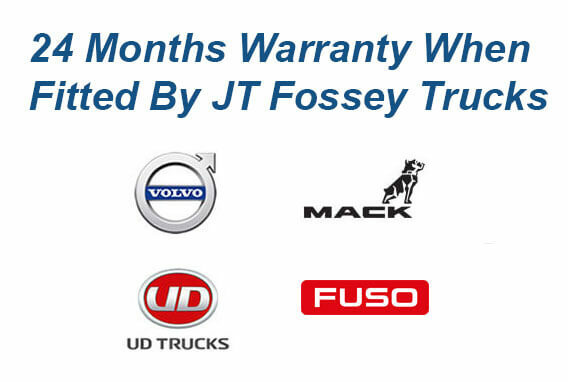 All Volvo, Mack & UD parts come with 24 months warranty when fitted by JT Fossey Trucks. 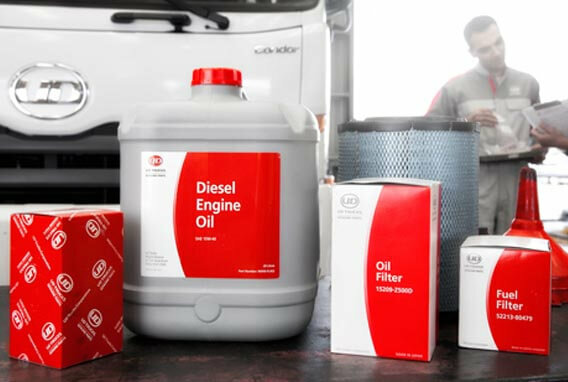 When you use UD Genuine Parts, you can count on guaranteed quality, value throughout the life cycle and improved productivity of your truck. Using non-genuine parts may save you a couple of dollars today, but can become a very expensive experiment tomorrow. So, why take the risk? The only way to keep your truck 100% UD is by using UD Genuine Parts that are backed by extensive testing and analysis and provided through our global parts supply network. Your Volvo truck is engineered for you, and built with attention to quality down to the smallest detail. When it is new and in original condition, it operates at peak performance and reliability. So why not keep it that way? Genuine Volvo Parts help keep your truck on the road and available for work so that it can generate income. With the right parts and specifications, working in perfect harmony, you can also maintain your truck’s fuel efficiency to keep fuel costs and emissions down. All in all, Genuine Volvo Parts are vital to maximizing uptime and achieving the most profitable truck ownership possible. Genuine Parts are designed to meet manufacturer specifications and are produced to the highest quality. Non-genuine parts may look similar and perform the same basic function, however this does not ensure they are the same when it comes to fit or tolerance levels. And they are not covered by Fuso’s full manufacturer warranty. Don’t run the risk. Insist on Genuine Parts.